Lock in a great price for Hotel Cecilia – rated 8.6 by recent guests! La amabilidad del personal, tanto en el check-in como en el Restaurante y en el desayuno. La habitación para las familias es muy amplia, muy cómoda. La limpieza y el desayuno. Las chipas paraguayas excelente! El hotel esta bien, no es nada del otro mundo. La habitación es comfortable. Atendimento, limpeza, organização. Bom café da manhã. Receptividade dos anfitriões e dos funcionários foi incrível. A decoração dos ambientes são espetaculares, área da piscina com um visual muito lindo. Curtimos muito todos os momentos da hospedagem do hotel. La atención del Personal fue excelente lo recomendamos!!! Hotel Cecilia This rating is a reflection of how the property compares to the industry standard when it comes to price, facilities and services available. It's based on a self-evaluation by the property. Use this rating to help choose your stay! 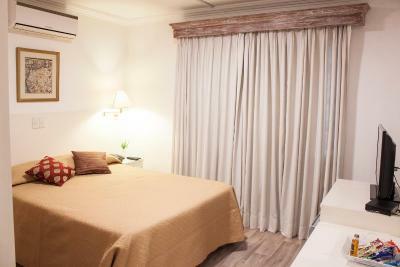 Located in downtown Asunción, Hotel Cecilia offers accommodations with free WiFi in public areas. There are spa and fitness facilities and an outdoor pool with views across Asunción. All guest rooms at Cecilia Hotel have a TV, air conditioning, a mini-bar and a separate seating area. Room service and in-room internet access are also available. A continental breakfast is served each morning. Guests can dine at the 5-star Restaurant La Preferida, located on the hotel’s 2nd floor, with panoramic views of Asuncion Bay. Guests can relax in the loungers of the pool terrace or work out in the hotel’s fitness center. There is also a spa and guests can make use of the sauna facilities for an extra fee. Cecilia is just a ten minute walk from the Panteón and 0.6 mi from the Museo Arte Sacro. The international airport is 30 minutes' drive from the hotel. This is our guests' favorite part of Asunción, according to independent reviews. When would you like to stay at Hotel Cecilia? 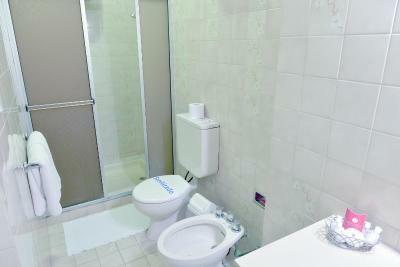 This spacious suite has a private bathroom and a work desk. It is fitted with air conditioning, heating, a mini-bar and a flat-screen TV. This spacious suite has 1 bedroom, a living room, a sofa and a private bathroom. It is fitted with air conditioning, heating, a mini-bar and a flat-screen TV. This spacious suite features 2 bedrooms, a living room, desk, mini-bar, balcony, cable TV, and private bathroom. It is fitted with air conditioning, heating, a mini-bar and a flat-screen TV. This suite features 1 bedroom, a kitchenette, a work desk, and a private bathroom. It is fitted with air conditioning, heating, a mini-bar and a flat-screen TV. 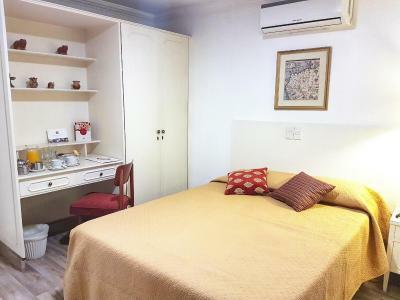 This twin room features 1 bedroom and a private bathroom. It is fitted with air conditioning, heating, a mini-bar and a flat-screen TV. This single room has a private bathroom and a work desk. It is fitted with air conditioning, heating, a mini-bar and a flat-screen TV. This single room has a living room and a private bathroom. It is fitted with air conditioning, heating, a mini-bar and a flat-screen TV. 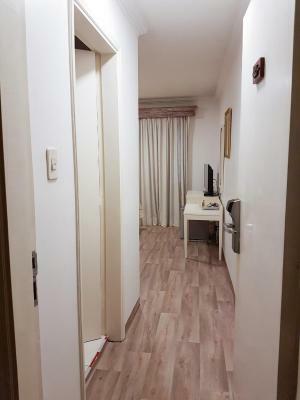 This double room has a living room and a private bathroom. It is fitted with air conditioning, heating, a mini-bar and a flat-screen TV. The executive suite features a large balcony. It has 1 bedroom, 1 bathroom with a spa bath and 1 additional toilette. It is fitted with air conditioning, heating, a mini-bar and a flat-screen TV. House Rules Hotel Cecilia takes special requests – add in the next step! Hotel Cecilia accepts these cards and reserves the right to temporarily hold an amount prior to arrival. Please note that until September 7th the pool will be closed due to maintenance. Please note that guests are requested to provide a valid credit card as guarantee for any damages caused. A deposit of USD 150 is required upon arrival for incidentals and extra charges. This deposit is fully refundable upon check-out (subjected to a damage inspection of the accommodations), and can be provided via credit card or cash. Please inform Hotel Cecilia of your expected arrival time in advance. You can use the Special Requests box when booking, or contact the property directly using the contact details in your confirmation.